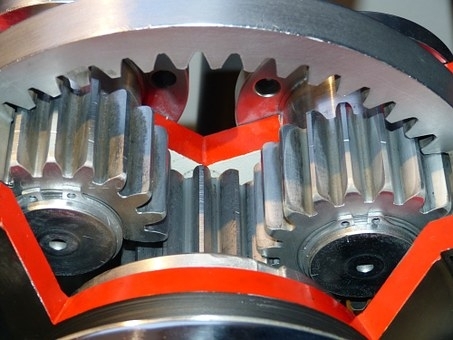 Gear motors have continued to increase efficiency in load carrying capacities of machines in many industries. Different applications use different types of gear motors. One of the most commonly used gear systems are hollow shaft gearmotors. Their most common application is in pulley and lever systems. A shaft is a rod that carries rotational loads. The hollow shaft has its central material removed in order to reduce the weight it adds in the process while maintaining the same torque. The space in hollow shaft gearmotors allows for design flexibility and can be very useful in cooling the system. The hollow space can be used for fluid motion. These gearmotors are compact and are therefore easily applied even with limited space. Most hollow shaft gearmotors are made of stainless steel. This means that they can endure great tensile stress for long periods of time as well as resist corrosion. This durability feature saves resources that can otherwise be used for repairs and replacements. Besides durability, hollow shaft gearboxes are recyclable and reusable in other applications. This limits the pollutants released to the environment. This also means that the pollution risks to humans and the rate of environmental degradation are reduced significantly. Hollow shafts are also very easy to clean, thus demanding little in terms of maintenance. All these features make the hollow shaft gearmotor highly cost-effective. If you’re looking to purchase a hollow shaft gearmotor for your manufacturing operations, contact us today: we can help you decide what specifications you need that is best suited for your application. At Bauer GMC, we also let you build your own gearmotor using our product configurator! Even after your purchase, we are ready to provide you with ongoing support, maintenance and repair of your gear motor. Our 24/7 support ensures you can access emergency service when you need it!